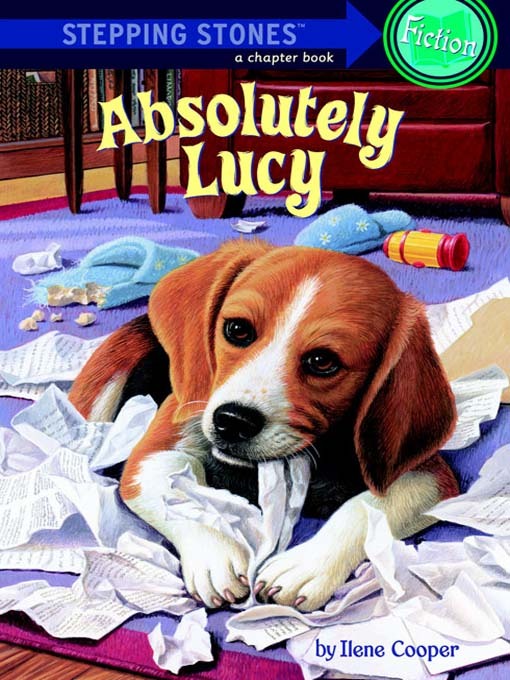 Absolutely Lucy is about a dog named Lucy. The book is about a boy named Bobby who gets a dog for his birthday. Once, Lucy the dog ripped up the dad's papers. Another time, Lucy goes to obedience school. In obedience school, Bobby meets another kid named Candy. Candy's mother takes Bobby and Candy out for ice cream. Candy is now Bobby's friend. After obedience school, Lucy is a good dog. At the very end, Bobby's friend leaves, but he meets a new one. My puppy is like Lucy too. Dante is like Lucy because he sometimes rips up paper and stuff. My goodness you have been busy reading LOTS of books!!! Good for you. Lucy sounds a lot like Sabre too. Sabre STILL steals things and runs around for you to catch him. He hasn't chewed up anything for awhile but if I didn't catch him, I think he might! Roald Dahl is a favorite author of mine too. Have fun reading..you are doing a great job with the blog!